Yes. You read right. This is the first of the many that will I will right about my pregnancy in Japan. Like back home in Canada, they have the same old pee-on-a-stick test, no line means not pregnant, a line appears you're pregnant. And most of these boxes have English instructions inside. Now the easy part is finished, now you need to find a ladies clinic to get checked out. You're probably going to want to find something close to home and good luck finding an English speaking one. The doctors test for pregnancy the same way as you do, peeing on a stick, no needles required. I ended up going to an doctor near my place but he speaks only Japanese. But with help from my husband and family I have manage to get by so far. After you know your due date you can go to the city office and tell them your date and you will receive a mother book for the doctor to write all the details of your pregnancy, as well you use it when the baby is born for all the shots and doctor check-ups. You will also receive coupons for your doctors appointments and you can get discounts and receive money back after the baby is born through your insurance. The doctor will tell you which paper to bring. You will also receive tons of papers, flyers, samples and booklets on preparing for childbirth and all the items you will need. Another important item you will receive is the pregnancy badge. 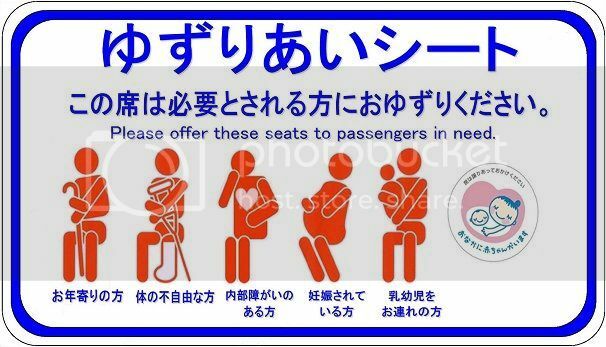 You place it on your purse and when you are on the train it will let others know you are with child and let you sit....but this usually doesn't happen in Tokyo. Most people ignore and will never offer a seat. But once you get bigger some will let you sit. So that's all I have so far with my pregnancy in Japan. I will keep writing more information as it appears. 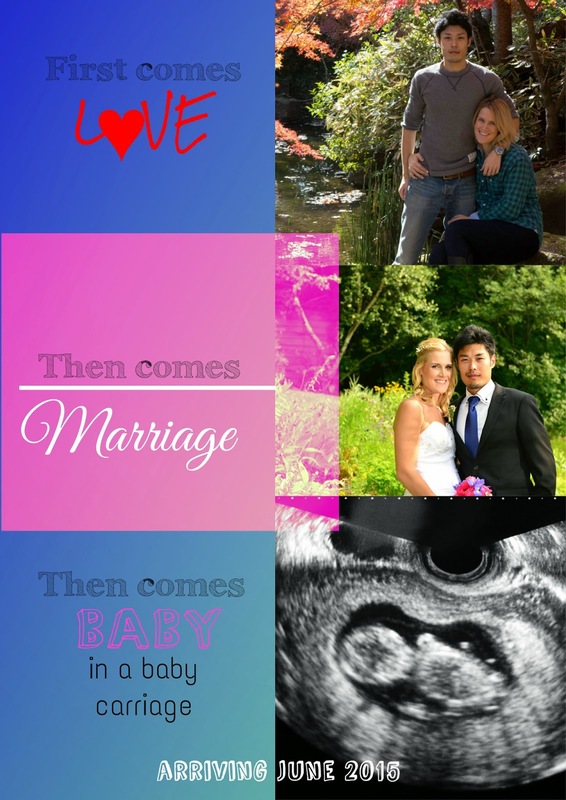 Here was our announcement for our baby.